It appears that President Trump's "Fake News Awards" was not simply a public spectacle designed for entertainment. They also do not appear to have been a benign attempt at gaining sympathy by a wild-card President. These announcements via Twitter appear to have been a statement and revelation of the overt issue of America's imbalanced and irresponsible corporate media. For years now, the people of America have been made to watch report after report, day after day, believing that these productions by the media were honest and professionally derived. However, we have been learning more and more about the overt problem of political compromise, bribery, and overall corruption of certain parties within media. Because the media has been so effective in the past at gaining the trust of the general public, many people did not pay attention to the problem. However, now we are beginning to see that our ignorance has not been without cost. We have learned of the propaganda campaigns of the past and present. We have seen numerous occasions where the media even assisted corrupt government officials at hiding the truth from the public. And we remember that in past years, the corporate media was used to promote mass death through pointless, corporately initiated wars. It has been suspected by thousands of Americans that we were not receiving a balanced story regarding the election of President Trump. The non-stop negativity and disrespect from the corporate media were directed against the President—both from entertainment and from news sources—and this concerned many. As stated numerous times, this is not to say that elected officials do not need to be criticized. Granted the criticism is respectful, this criticism is crucial in maintaining a fair and balanced system. However, the corporate media seems to have abandoned this respect altogether, and has instead, launched its own campaign of social impeachment of the President since even before Trump was elected, and as it turns out, money was among their motives. If this is true, this may be the reason why Newsweek headquarters was raided by NYPD on January 18th. There is a clear need for investigation into this sudden decay of ethical standards in corporate media. It's unfortunate to say, but if this corruption in corporate media is confirmed any further, the fact will not surprise many awakened Americans at this point. Newsweek's New York offices were raided by the Manhattan district attorney on Thursday. It's unclear what the raid was about, though Newsweek is expected to release information about it at some point later on Thursday. Newsweek's offices were raided on Thursday by the office of the Manhattan district attorney. The Outline first reported that a dozen agents raided the Financial District offices of Newsweek and its sister company International Business Times. Though it remained unclear why agents came to the office — and multiple reporters who were not in the company's New York offices told Business Insider they were kept in the dark — a source familiar with the situation confirmed that some staff were told that law enforcement were taking pictures of the company's servers. Though a Newsweek representative did not respond to Business Insider's request for comment, multiple staffers said a Newsweek reporter was working on a story in lieu of a statement. Over the past decade, the iconic legacy brand has struggled to retain its identity throughout a series of mergers and acquisitions that some critics and even staff say have watered down the quality of the brand. Many Newsweek writers are expected to meet high traffic goals, and the site often posts content that observers deride as dishonest and misleading. This report is revealing to say the very least. As we may have noticed, the common excuse for questionable corporate media companies is the claim that high demand and pace of work require writers to cut corners and to value quantity over quality. This may be true at the base level of the company. However, these reports are checked and cleared for publication by someone. It is the executives at the top who will have the most answering to do if and when the investigations unearth any incriminating information. This is one take on these recent events. Here is another by the website, The Wrap. “The police arrived with a warrant and have been photographing company server,” TheWrap has learned. As we may know, Newsweek is one of the corporate news sources which were found to be exceptionally bias when it came to presidential candidates. This might explain the overtly disrespectful and unbalanced headlines that Newsweek continually ran for the entirety of 2017, following Hillary's disappointing loss. The loss of the presidency to Trump seemed to have caused Clinton, her Democratic cohorts, and the entirety of corporate media to go into overdrive in their attempts to somehow steal the presidency from Trump. Whether it was through the questionable narrative of Russian interference, through the notion that Trump was insane, or that some loophole would still allow Hillary to slip into the White House somehow, the media seemed to sell every narrative it could in order to turn the public against the idea of giving the new President a chance. If the numerous reports revealing Hillary Clinton's monetary ties to corporate media, and she never stopped paying them, this might explain why the media appears to ubiquitously choose such a disrespectful and negative tone when discussing all things related to President Trump. Again, criticism is necessary for any free society to operate as such. However, respect for authority is also necessary for maintaining a civil society, and when corporate media attempts to overthrow this society, that is a very big problem. To bring the story home, here is one more perspective on the situation by the website, Gateway to Pundit. The headquarters of Newsweek was raided by the Manhattan District Attorney’s Office Thursday morning. Investigators reportedly took photos of the magazine’s servers. About two dozen investigators from the Manhattan District Attorney’s Office raided the offices of Newsweek and its parent company, IBT Media, on Thursday. IBT Media was co-founded by Jonathan Davis and Etienne Uzac. The IRS placed a $1.2 million federal tax lien against Uzac in December 2017. The agents were said to be photographing servers in the offices, but not downloading any files at the offices at 7 Hanover Square, according to sources. They appeared to be photographing the serial numbers on the machines, said a source. Few details have emerged from the raid. “Looking into reports that the Manhattan District Attorney’s Office @ManhattanDA raided Newsweek/IBT Offices today….sources say police have been there for hours. The DA has declined to comment,” tweeted reporter Avi Asher-Schapiro. Looking into reports that the Manhattan District Attorney's Office @ManhattanDA raided Newsweek/IBT Offices today....sources say police have been there for hours. The DA has declined to comment. 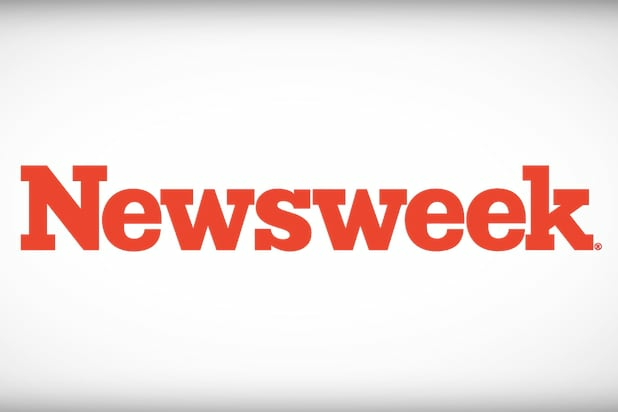 Newsweek is also in the news Thursday after an “insider” told The Wrap editor Jon Levine that the magazine has abandoned journalism for “rage clicks,” in the Trump-era. “Newsweek was once a premiere media organization and an incredible springboard for young journalists hoping to grow a name for themselves,” the source told Levine. “The company culture has turned the newsroom into a toxic work environment, while the publication has descended into a content farm for last-resort clickbait,” the source added. A "content farm for last-resort clickbait..." It does not appear that other publications favor the current state of Newsweek. Nevertheless, it seems strange that we are only hearing these opinions now. Were these concerns stated before these raids took place, or could these sudden, condemning words against Newsweek be cheep attempts by employees/associates to distance themselves from a questionable establishment? It will be interesting to see. As previously stated, many of us have grown more than fed-up with the extreme dishonesty and distortion of corporate media. We have also grown tired of the clear signs of censorship which can easily be found in the world of social media. For a few years now, members of social media communities have grown increasingly concerned over the clear lack of ethical standards shown by social media outlets. Sites such as Facebook, Reddit, Twitter, and YouTube have grown in their stringency over content, but not in ways which would indicate honorable or ethical standards. These standards actually seemed to promote crime, anti-President sentiments, and pedophilia among their users. Once again, these platforms not only appeared to censor those who were speaking out against these crimes and social ills, but some of these sites were even promoting the standards of pedophilia and criminal behavior in government. In years past, this may have been unheard-of. However, in 2017 and early 2018, these standards of criminal and unethical conduct have been the imposed norm within social media giants. In the eyes of many people, this is not what civilized society looks like. Many of us hope that these raids and investigations do not merely stop at one news company, seeing that the problems which infected Newsweek have a tight grip on most other companies within the corporate media. These problems have a grip on social media giants as well, and if the majority of users want to see these media outlets raided and investigated in the same way, this will be no surprise. These raids by authorities following the Fake News Awards seemed to have a major effect on the consciousness of many. They seem to let us know that just because the corporate media has a loud voice, it does not mean that these companies can say whatever they want without facing the consequences of their words. When corporations dabble in sedition and gas-lighting of the public, this is a problem that needs an immediate remedy.